Xiaomi’s new fast charger was just revealed and it turns out that it can charge our phone from 0 to 100 in less than 20 minutes. It’s not out for public use yet, but it surely shows us how the near future may look; or not? There is more to this than what meets the eye. So, let’s take a closer look at it. Evidently, making batteries bigger and bigger is proving to be a challenge for smartphone manufacturers. Only a fraction of our current flagships are carrying a somewhat decent battery life. And the smartphones that actually have huge batteries are also ridiculously big. Like, at this point, you may as well carry a couple of power banks with you. So, quick charging for the win right? After all, if this charger becomes publicly available, charging your phone in 17 minutes is nothing. Even if your phone doesn’t last half a day, you could just plug it in while taking a quick shower and you’d be ready to go. But, hold it just right there for a moment. This kind of technology brings a couple of new threats to the table. First of all, don’t get us wrong. We appreciate how companies like Xiaomi are creating solutions to our problems. And batteries have been an issue for a long time now. However, pushing 100 watts into a phone poses some huge risks and we’re not sure if anybody is ready to deal with them. Not to mention that smartphone manufacturers could potentially avoid mentioning them before selling their new chargers. If that becomes a thing, of course. Take a moment and think about it. 100 watts. A modern mid-range GPU asks for about 120. You can easily render something like GTA V with this kind of power. And you’re pushing it to your tiny phone. So, that’s our first issue here. The amount of power. The amount of voltage and amperage that’s going through the battery may be a bit too much. There’s no guarantee that the battery won’t be rendered useless in a couple of months. As if that wasn’t enough, extra power means extra heat. And if there’s one thing that Lithium-ion batteries hate more than anything, then that’s heat. Speaking of which, our current quick chargers already have a bad reputation for overheating phones. So, we surely need to tread carefully here. One solution to the above issues is using multiple small batteries in one smartphone. That allows you to charge them up simultaneously and quickly without having to push a lot of power in one package. Not sure if that’s viable with the small form of factor of phones. But, it’s a possibility. It definitely works for certain tablets. 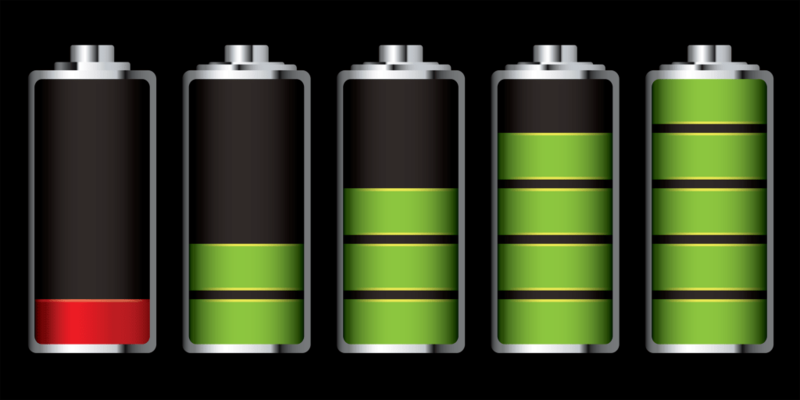 Other than that, rumor has it that manufacturers have been working on a new type of battery which will last several times longer in both short and long term. However, we don’t know when they’ll be ready for us just yet. That’s all for now. We’ll let you know if anything else comes up.